I ran a search query for marketing communications in my Google Chrome browser this morning only to find a single page of Google results. 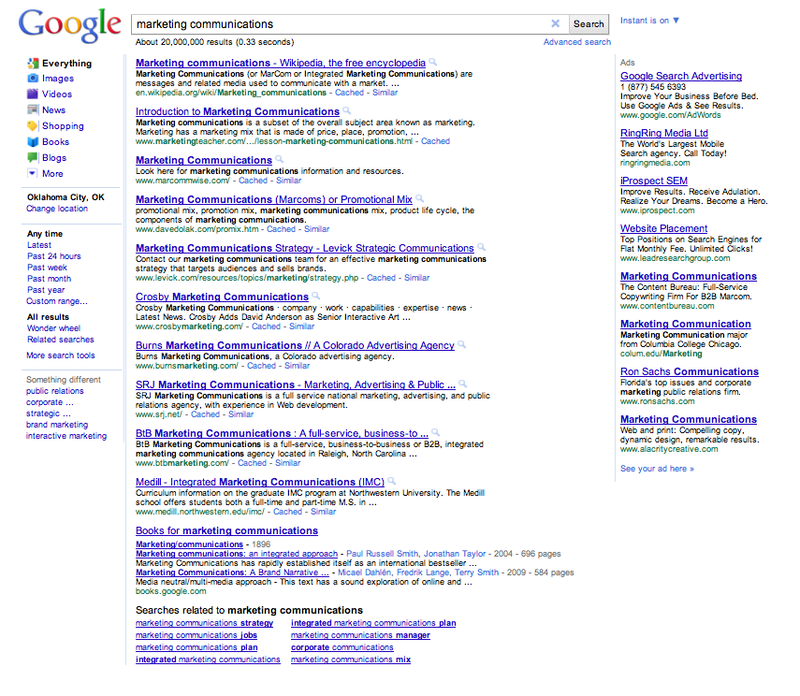 Even after several attempts of the same query, I couldn’t produce any additional Gooooooooogle search results pages. While I have read Google has been testing these types of single page results, its not clear to me how restricting results improves the Google user experience. This entry was posted on February 21, 2011 at 5:17 pm and is filed under Google User Experience, Single Page Google Search Results. You can follow any responses to this entry through the RSS 2.0 feed. You can leave a response, or trackback from your own site.